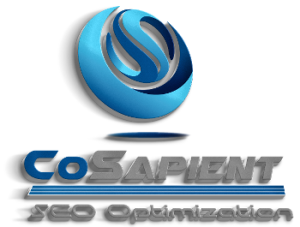 CoSapient’s Medium enterprise SEO Services achieve first page placement for highly competitive keyword phrases. Corporate Level 10 SEO services are recommended when your targeted keyword phrases have between 7,000,000-10,000,000 competing pages on Google. Corporate Level 15 SEO services are recommended when your targeted keyword phrases have between 10,000,000-15,000,000 competing pages on Google. Corporate Level 25 SEO services are recommended when your targeted keyword phrases have between 20,000,000-25,000,000 competing pages on Google. Corporate Level 50 SEO services are recommended when your targeted keyword phrases are in the range of 50,000,000 competing pages on Google. Our Medium Enterprise SEO Service plans are ideal for most clients vying for first page placement in a competitive keyword phrase space. With the use of micro-sites and up to 2000 keyword phrases, several geographic locations as well as numerous product or service offerings can effectively be targeted. Over 85% of our clients upgrade (at no penalty) to a higher level of service using the additional profits they make from increased sales due to higher inbound traffic volume.